The Urban Lamp Table is a stylish piece of furniture that works beautifully well in contemporary settings. 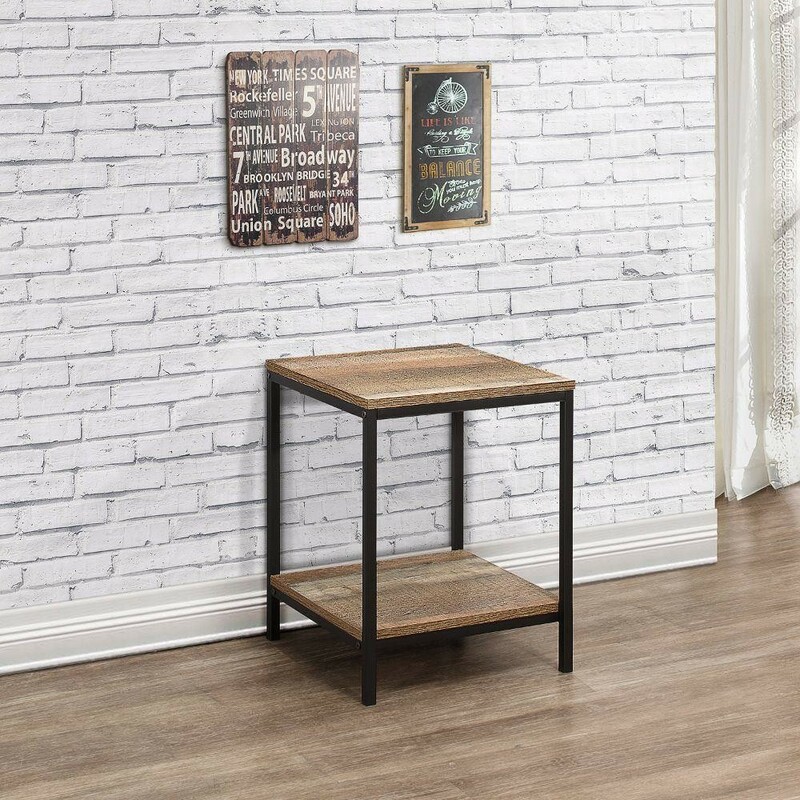 Introduce industrial chic to your home, achieved through the use of a rustic wood-effect table top. This is complimented handsomely by a shelving unit and the strong metal frame work. Introduce a versatile piece of furniture to your home with the Urban Lamp Table. The table is small enough to fit in any room in the home. Use it as the perfect, modern table to place the lamp, or use it as an additional storage area for any of your belongings. It's the perfect area to store the router, the home phone or to showcase your treasured belongings. The table top and the lower shelf can both be used to store or display items. The Urban Lamp Table is the perfect size for the living room, bedroom, office or the hallway. Its small size means it can be easily transferred and moved around the home to meet your needs. The table is given added strength thanks to the industrial inspired metal frame. The straight lines and wood effect surface adds to this image beautifully. The Urban Lamp Table really is the perfect addition for any modern interior that aspires to be like a New York loft apartment. Add style to your home with the Urban Lamp Table and mix and match with other quality pieces of furniture from our Urban Collection. Keep the Urban Lamp Table looking its best by wiping down with a soft, dry cloth. The Urban Collection includes multiple pieces of furniture for various rooms in the home. Each piece achieves the industrial chic aesthetic with sleek lines and the combination of rustic wood effect and strong metal frame work finish. The product is part of the Urban Wooden Bedroom Furniture Collection.